Bespoke golf travel company Gastro Golf has teamed up with the Lisbon Tourist Board and Lisboa Golf Coast to offer a selection of tailor-made packages, providing an opportunity to experience some of the best golf courses and resorts in the region, along with a range of superb culinary and cultural experiences; to create a golf holiday that you’ll never forget! 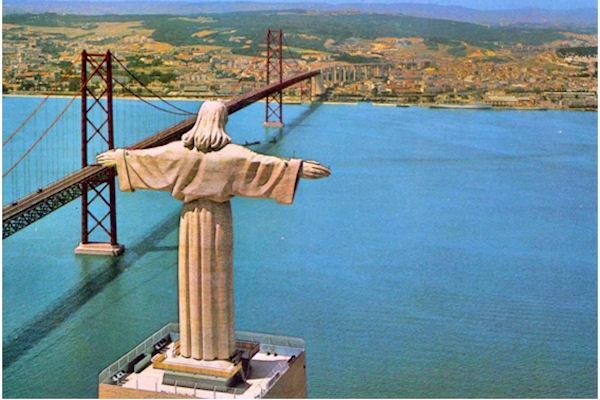 The golf destinations around Lisbon can be divided into three distinct areas. To the north west of Lisbon you’ll find the likes of Bom Successo, Royal Obidos, Praia d’El Rey and the recently opened West Cliffs. 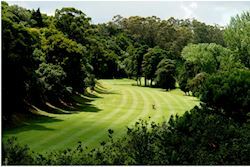 The central area, around Cascais and Sintra, is home to favourites such as Estoril , Quinta da Marinha, Penha Longa and Oitavos Dunes, while south of the River Tagus you’ll find courses such as Aroeira, Quinta do Peru, Ribagolfe, Oeiras and Santo Estevão. We are pleased to offer members a 10% Early Booking Discount on all accommodation inclusive golf holidays confirmed during the months of October & November. Holidays to be taken in 2018 or 2019. Arguably the showpiece venue in the Costa Azul region, Aroeira is tucked away in a 900-acre private estate close to the coastal town of Caparica. 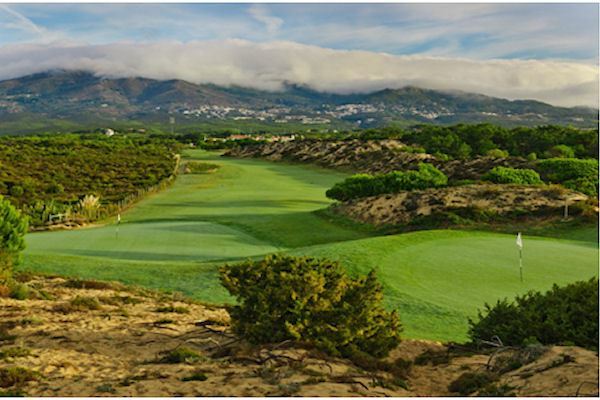 Its two championship layouts, Aroeira I and II, cut a swathe through a dense pine forest and whose fairways are lined by a significant number of luxury villas. Designed by Frank Pennink, Aroeira I was christened the ‘Wentworth of Lisbon’ when it first opened in 1972, and it is easy to see why. Tall avenues of pine trees flank the fairways and the course is surrounded by wildlife and nature. The course demands accuracy and thoughtful placement off the tee in order to score well on the 6,650-yard track, while several large ponds add to the difficulty of the challenge. Aroeira II, which was designed by Donald Steel and opened in 2000, is a much flatter course, but is no less demanding. Measuring just under 7,000 yards from the back tees, water comes into play on no fewer than nine holes, and there are many pot bunkers and large, undulating greens to negotiate. Voted one of the best courses in Portugal by Golf World in 2004, this course is a game of two halves - the front nine being parkland, as it runs in an out of pine trees, and the back nine offering some of the best links golf you'll find anywhere in Europe. Atlantic Ocean views on 13, 14, and 15 only add to superb golfing experience. Take the ferry from Setúbal to discover the Troia Peninsula, a long flat, sandy stretch of land across the Sado Estuary with a dramatic backdrop of the Arrabida mountain range. Designed by Robert Trent Jones Snr, Troia Golf’s magnificent course is a challenging, and unforgettable experience. Featuring Jones’ trademark bold bunkering, raised greens and some tricky dog-legs, the course sweeps between pine trees, while offering tantalising glimpses of the sea, most notably at the par-four third hole, where the views are breathtaking. 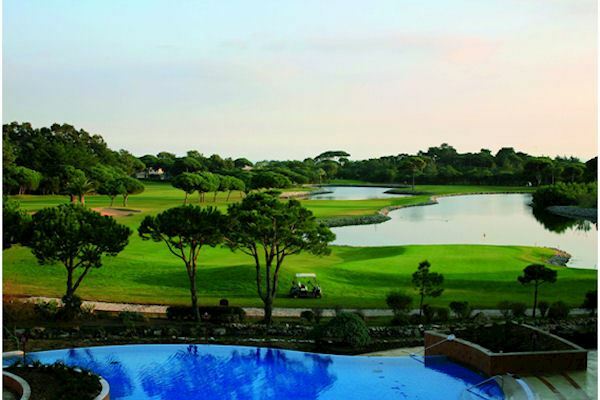 Founded in 1922, Lisbon Sports Club is one of the oldest golf clubs in Europe. Originally built by Fred Hawtree as a nine-hole course for British railway workers, it only became an 18-hole layout in 1992, when the final four holes were completed. Situated amid rolling hills and valleys, the par-69 course is relatively short, at just 5,520 yards, but the natural layout of the land makes it more difficult than it appears on paper. The course comprises six par threes and three par fives, while four of the par fours measure less than 330 yards. Tree-lined fairways nestle in the valley, where raised tees and elevated greens characterise many of the holes in a wonderfully natural setting. Providing a hybrid experience of both links and woodland golf, Oitavos Dunes enjoys one of the most dramatic settings on the Lisbon Coast, with magnificent views of the Sintra Mountains, the Atlantic Ocean and Cabo da Roca. Kicking off with six tree-lined holes, the 6,933-yard course then opens up dramatically into the dunes for 10 holes, before returning to the woods for the final two. On paper it sounds like it shouldn’t work, but in reality it most certainly does. The course is largely flat, and a good walk will set you up nicely to enjoy the excellent food on offer in the stylish clubhouse. Quinta da Marinha consists of fabulous undulating fairways and picturesque views of the Atlantic Ocean and the Sintra Mountains, with a back nine that follows the cliff tops of the Estoril Coast and pine forests. Plenty of water and five par fives combine to make this 6,392-yard course one that you’ll want to play again and again. MAKE YOUR GASTRO GOLF BOOKING NOW!